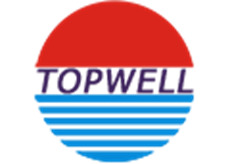 Topwell can provide you many types of coffee machine,the color, material can according to your willing. Topwell-180410-C8 is our latest coffee machine. It can use at home, office and commerce. It uses an automatic rotary blade, which can grind about 15 cups of coffee at a time, it's saving materials and the coffee is flavorful.We are committed to providing customers with high quality and inexpensive products. We not only can do PCB design, but also many other products, such as Cnc Milling Auto Spare Part,Air Purifier Plastic Mould, Various High Precision Plastic Mould, etc. More details you can see in our website: www.topwellspring.com. We have a comprehensive quality control system, which has successfully achieved ISO9001, TS 16949 quality management system certification and ISO 14001 environment system certification. With over 20 years experience in industry design and Mechanical Design and mould design, manufacturing, second processing, assembly and etc. One-stop services for plastic parts.We are an ISO9001:2008 & ISO1400:2004 company. Looking for ideal Save Energy Automatic Coffee Machine Manufacturer & supplier ? We have a wide selection at great prices to help you get creative. All the Automatic Coffee Machine are quality guaranteed. We are China Origin Factory of Plastic Automatic Coffee Machine. If you have any question, please feel free to contact us.